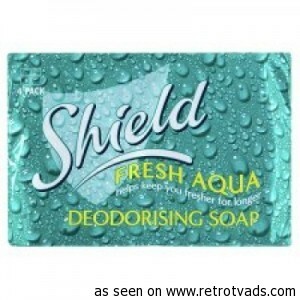 Shield Soap was originally launched in 1976 by Unilever with a heavy weight TV advertising campaign, enabling the brand to establish a 30% market share within its first year. In the 1990’s, Unilever rationalised their brands as part of their ‘path to growth’ strategy. Lucky for us, Shield Soap did not form part of their core UK portfolio. Ceuta Healthcare purchased Shield Soap from Unilever in March 2004. In 2004, we sold approximately 5.7 million bars of Shield Soap. This figure has grown year on year and in 2009 this figure had grown to approximately 14 million bars of Shield Soap being sold in the UK.